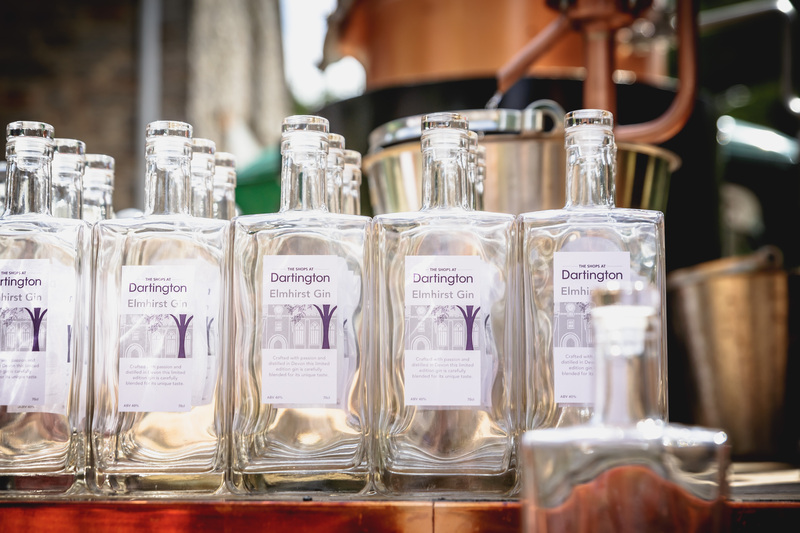 British retailer and social enterprise, The Shops at Dartington, are to introduce a brand-new permanent distillery within their Food Hall, to launch at the start of May. In partnership with Devon Distillery, the new copper still will produce The Shops at Dartington’s signature bottle of Elmhirst Gin, and will also have the capability of producing other contract gins as well as other spirits at a later date. The distillery will also be running a boutique gin experience, enabling small classes to learn the process of making gin, while they can smell, taste and witness the entire process from start to finish. Cosmo Caddy, the founder of Devon Distillery, has alcohol production in his DNA, as his grandfather founded Sharpham Vineyard in the year Cosmo was born. Cosmo travelled the world in pursuit of wine and spirit production, before honing his craft in Italy with a 9th generation grappa distilling family. He then returned to South Devon and crafted Dappa - Devon’s version of grappa made from the skins of Sharpham Wine grapes, as well as launching the UK’s only mobile still known as ‘Still on the Move’ that makes bespoke gin anywhere in the country. With more than grape vines running through his veins, Cosmo’s roots also lead back to Dartington, as his great-grandparents, Leonard and Dorothy Elmhirst were the pioneering entrepreneurs who founded the Dartington Hall project. When the Elmhirsts purchased the then neglected 14th century Dartington estate, they restored the estate buildings and set up a host of farming, forestry and educational products including Dartington Hall School, Dartington Tweed Mill and Dartington Glass. As innovative thinkers themselves, Dartington became a magnet for artists, architects, writers, philosophers and musicians from around the world. 93 years later, the Elmhirst’s direct descendant, Cosmo Caddy intends to build on his predecessors’ legacy and will continue to instil the values of his ancestors in Devon Distillery at The Shops at Dartington. ‘Establishing Devon Distillery at The Shops at Dartington adds another chapter to my rich family heritage in this region.’ Says Cosmo. ‘Alcohol production is my absolute passion, and I’ve spent years learning, tasting and blending in pursuit of the best spirits to create exceptional quality products with integrity. I’m thrilled to have a permanent base at Dartington to continue this journey.’ ‘This is a great coming together of two locally renowned families. Devon Distillery coming to The Shops at Dartington will fortify the fascinating history of the Dartington Estate,’ continues Barbara King, Managing Director of The Shops at Dartington. ‘With 60% of products within the Food Shop procured from Devon and a further 30% from the West Country, we couldn’t be more pleased that the footprint of our gin will be only a matter of yards.’ Bringing the still into the Food Shop creates high visibility for this interesting process and visitors will be able to witness the process of distilling. The Shops at Dartington are situated on the grounds of the picturesque Dartington Estate and consists of 15 unique, independent shops in South Devon, near Totnes. The shops are based inside quirky buildings as this part of the estate was an old cider press. It’s a family destination, with parks and activities for young children. Totnes has always attracted forward-thinking businesses with social responsibility at the core. Earth.Food.Love is the UK’s only, family-run, organic, bulk-buy, zero waste shop! Focusing on creating a better future, they decided to look back to the past, where eating real food with minimal packaging was normal practice. They believe returning to these simple ways will benefit not only our own health, but the planets too. The shop stocks a wide range of products such as grains, cereals, beans, legumes, flours, sugars, herbs, spices, loose leaf teas, nut butters, syrups, oils, vinegars, cleaning products and personal care products. Everything is self served and priced by weight, eliminating the toxic and wasteful packaging. Just take along any bottle, jar, tub or container; if it can be weighed, it can be used. Earth.Food.Love is located at 101 High St, to find out further information check out their website www.thezerowasteshop.co.uk. You can keep up to date by by liking their Facebook page.